These Throwback Photos Of Sandara Park Are Just Too Cute! Sandara Park, fashion icon and former member of Korean girl group 2NE1, is celebrating her birthday today! ICYMI, our girl's been having fun at Jeju Island and posting the best photos over the weekend. This fan tweet lets us see Dara as an adorable baby and toddler! Hold up, is this a photo of Sandara from her early showbiz days in the Philippines?! OMG these snaps of Dara holding babies are legit making our hearts melt. Bom (who was part of 2NE1 with Dara) posted a cute chibi photo of the two of them with the caption, "Happy birthday to you...I luv you." Bom and Dara, the "Double Park" sisters, had a reunion of sorts last October 30. Sandara made us all gush with her fashion-forward looks at Paris Fashion Week last month. She currently stars in Real Men 300, a South Korean variety show where male and female celebs experience life in the military. Guess what? MOMOLAND's JoeE is also part of the cast! No doubt about it, Dara is a blessing to us all. 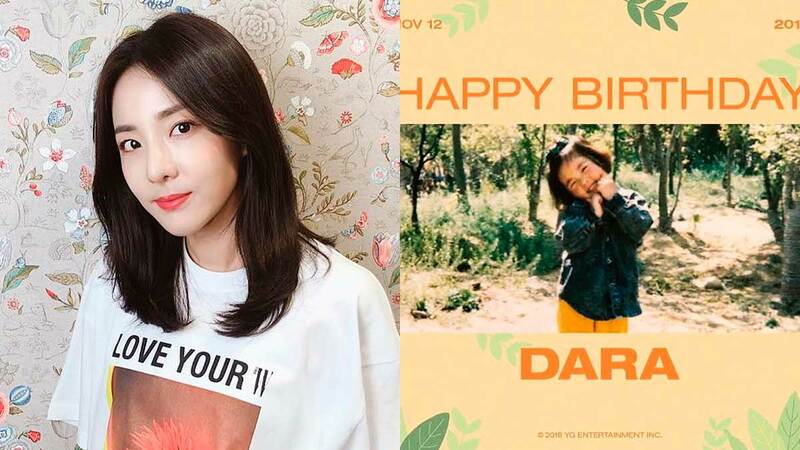 Happy Birthday again, @krungy21!